Coffeecream is ranked 4,127,307 in the United Kingdom. 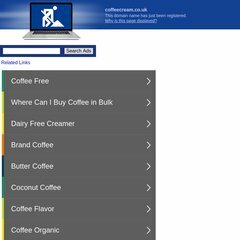 Coffeecream.co.uk's server IP number is 208.87.32.69. Its 2 nameservers are sell.internettraffic.com, and buy.internettraffic.com. A ping to the server is timed at 69.1 ms.